Have you ever dreamed of running a way and joining a circus? Ned did just that as the age of 17. He has been performing ever since, with one goal in mind; sharing what Jesus has done for him and what he can do for you! 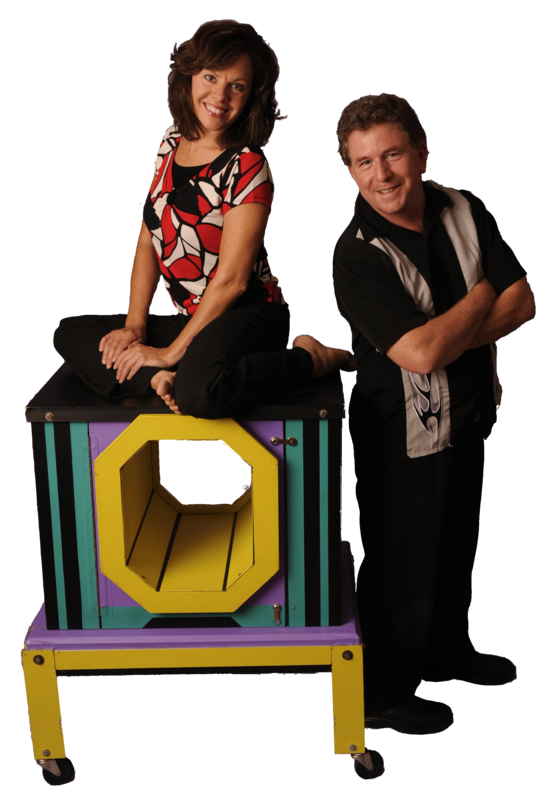 Ned and Joan, the creators of Kidz Mania! are professional illusionists, jugglers and family/kids evangelists based out of Louisville, KY. They have performed for Ringling Brother’s/Barnum and Bailey Circus, Disneyland, Disney World, cruise ships and other notable places. They have also been featured performers with Kid’s Gig a part of the Billy Graham Crusade. Ned, president of No Way Productions LLC, is also a licensed minister. Joan has a BA degree in Elementary Education from the University of Northern Iowa. They are recipients of the “Excellence in Ministry” award presented by International Network of Children’s Ministry. 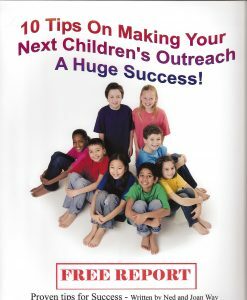 They travel far and wide reaching kids and families with their presentation, seminars, and workshops. They travel from coast to coast including Alaska, Hawaii, Canada, the Virgin Islands, and even abroad. With the aid of their special promotional packet, they have broken attendance records in churches across the country. Their family fun nights can actually increase the number of families who attend your church. So if you’re thinking, “maybe I should…” Please do! You simply can’t lose.